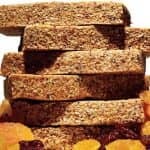 You are at:Home»Protein Bars»Why Protein Bars ? It’s very hard, sometimes impossible, to find healthy snacks at the supermarket. Most snacks are processed food that is high in salt, sugar and fat. You may enjoy the taste but, after a while, you will feel hungry again. This problem, repeated over and over, is one of the most typical mistakes when on a weight loss diet. More about “constant snacking” here. How to avoid unhealthy snacks ? Reduce your cravings ! One solution to this problem is to prepare your own snacks and carry them with you to your place of work. Reality check: Some snacks are hard to carry with you and some days we just don’t have time to cook. I’ve searched around and found protein bars. We have all heard about these bars, but are they healthy? Aren’t they only for athletes to build muscle? 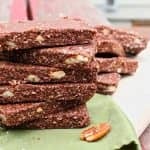 Are protein bars healthy ? For some protein bars, the answer is yes, but others are pure candy. You need to know how to find a winner among the bars available, or how you can prepare your own bars. I’ll help you with both of these options. Eating healthy protein bars can help you lose weight and here’s how! With the right protein bar, you’ll add protein to your diet, providing your body with nutrients and fiber that will make you feel fuller for longer. This helps prevent cravings between meals. 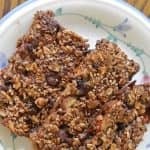 I’ve done a lot of research and discovered what makes a healthy protein bar perfect for replacing a snack or for after workout. In this article, I share the SEVEN most important features a protein bar must have. Also, I’ve done even more research to find the best protein bars around today. Here is my personal recommendation for the best protein bars to replace a snack or to have after workout. 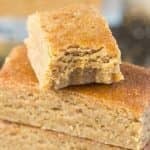 If you have time, you can easily make your own protein bars too. Make them at the weekend and then take one with you to work the following week. Pick a recipe you like, make it, and then grab a bar in the morning as you leave for work. Easy!